Home Warranty Included with this home! 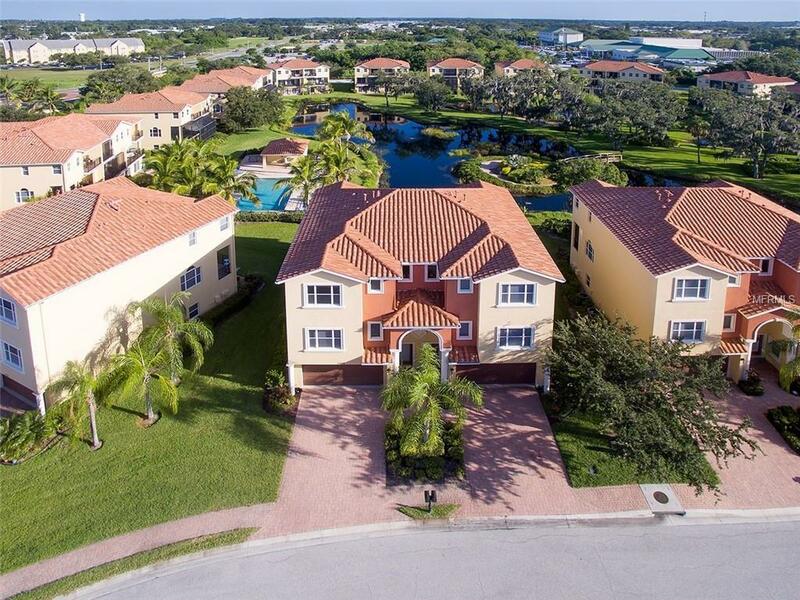 BOATERS DREAM IN THIS GATED COMMUNITY OFFERS A MAINTENANCE FREE LIFESTYLE! 3BEDROOM/3BATH 3 LEVEL TOWNHOUSE Home Warranty Included LOCATED IN THE GORGEOUS BOATING COMMUNITY OF HAMMOCKS AT RIVIERA DUNES. The Hammocks At Riviera Dunes features 2 heated pools, tennis courts, a fitness center, plus an 80 acre deep water protected harbor with state-of-the-art boat/yacht slips available for rent or purchase. The neighborhood is located just 5 minutes to downtown Bradenton, 15 minutes to downtown Sarasota, a short 20 minute drive to St. Petersburg, and 35 minutes to Tampa.The Hammocks is minutes to SW Floridas finest beaches, restaurants and shopping centers too. Boating residents really appreciate the deep water access from the communities 80-acre protected harbor to the Intracoastal Waterway and Gulf of Mexico. THIS TOWNHOUSE HAS THE COMMUNITY POOL RIGHT BEHIND THE UNIT AND OVERLOOKS THE POND AND NATURE PRESERVE WITH BALCONIES FROM THE 2ND AND 3RD FLOOR. THIS GREAT ROOM PLAN HAS PRIDE OF OWNERSHIP WITH WOOD FLOORS, CERAMIC TILE, GRANITE COUNTERTOPS, SOLID WOOD CABINETS, REFRIGERATOR AND OVEN, GAS TOP STOVE, DISHWASHER, MICROWAVE, AND DISPOSAL. INSIDE LAUNDRY. MASTER BEDROOM ON THIRD FLOOR WITH GORGEOUS VIEWS OF THE POOL AND POND, WALK OUT BALCONY, WALK IN CLOSET. FIRST LEVEL HAS LARGE 576SF FLEX ROOM WITH WALK OUT TO A BEAUTIFUL BRICK PAVER PATIO PUTS YOU RIGHT AT THE POOL. SECOND FLOOR HAS LARGE GREAT ROOM WITH VIEWS THAT ARE UNEQUAL TO ANY I HAVE SEEN. Pet Restrictions See Condo Docs.